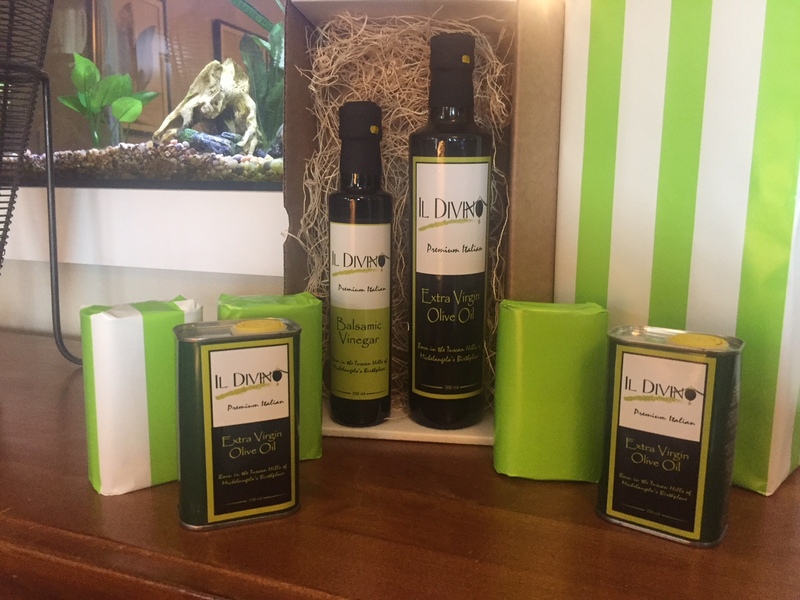 At IL DIVINO we truly are committed to being your trusted source for the finest possible Extra Virgin Olive Oil. This includes traveling to Italy every fall to supervise our organic olives selection, using the most modern cold-press production process, and protecting our final product from harmful light and oxygen using dark bottles and cans. 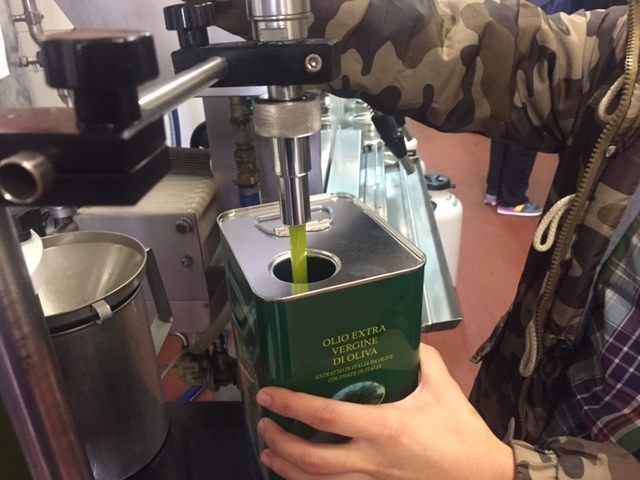 For those customers seeking the absolute freshest Italian Extra Virgin Olive Oil, we are able to deliver each year’s fresh olive oil within weeks of pressing. However, at any time throughout the year we honestly believe you will not find a finer extra virgin olive oil. 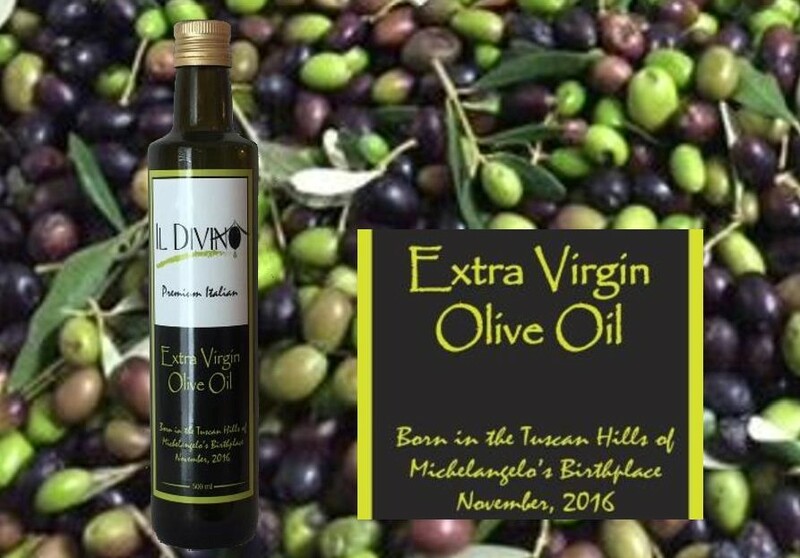 We know there are many choices when it comes to purchasing extra virgin olive oil and we just hope that once you taste our yearly offering of IL DIVINO Extra Virgin olive Oil and understand all the steps we take to make it healthy and delicious, you will be a customer for life. Without going into a lot of detail, if you ever see Olive Oil priced less than you would expect, you really need to verify it is pure and fresh 100% Pure Italian Extra Virgin Olive Oil. When you see/buy Olive Oil labeled “Imported from Italy”, to be legally labeled “from Italy”, the Olive Oil only needs to contain 10% or less oil from Italy and the rest can be from anywhere including the USA, Africa or who knows where. So it is the loose USA labeling regulations why many Americans and others have NEVER experienced the joy of tasting 100% Pure Extra Virgin Olive Oil from Italy. 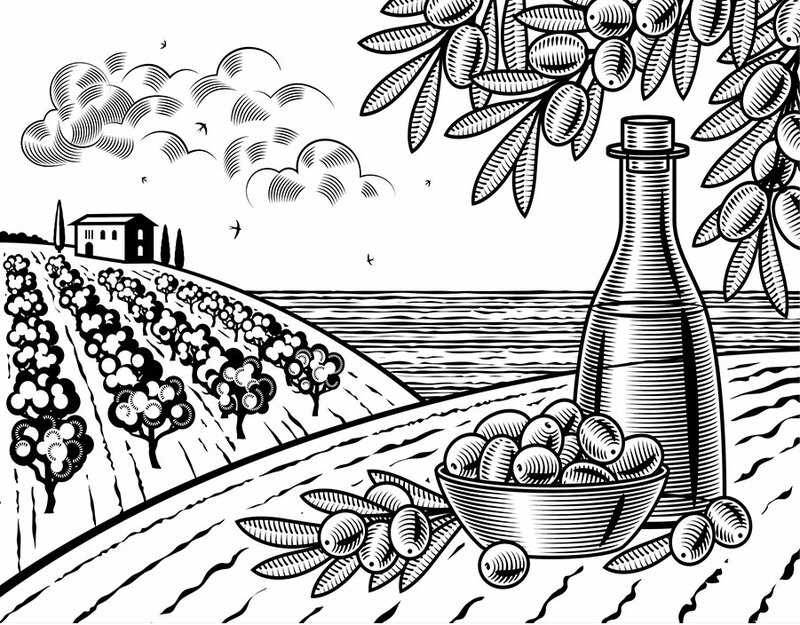 This is why we started IL DIVINO – to be the absolute trusted source of 100% pure, fresh, Italian Extra Virgin olive Oil. Without going into a lot of detail (available upon request), if you ever see Olive Oil priced less than you would expect, you really need to verify it is pure and fresh 100% Pure Italian Extra Virgin Olive Oil. 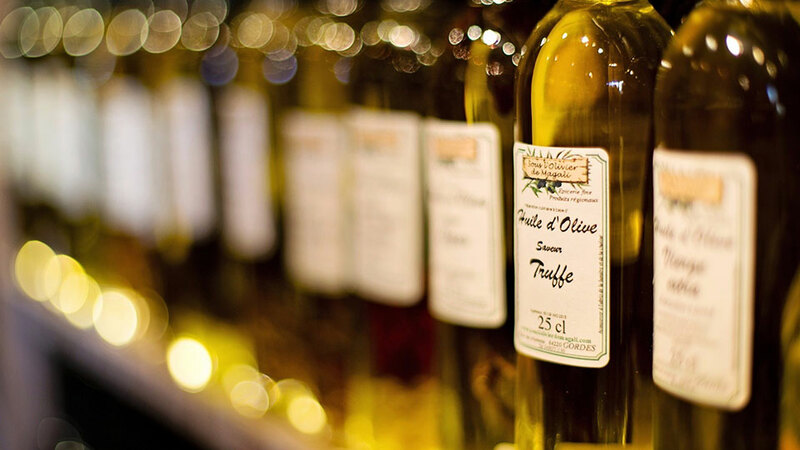 While Extra Virgin Olive Oil greatly enhances food and our health, it is also a very delicate liquid that MUST be stored and bottled properly to avoid oxidation and spoilage. Fresh extra virgin olive oil needs to be produced from the best olives and stored in cans or dark bottles to minimize the exposure of the oil to sunlight. This prevents the sun from oxidizing the oil and basically ruining the quality and flavor of the oil. In addition, due to the intrinsic delicate nature of the oil, you should always try to consume your olive oil within one year of purchase to experience the very best flavor and health qualities of the oil. Therefore, when purchasing Premium Extra Virgin Olive Oil you should try to buy it and consume it within one year of the olive harvest date. If the olive oil you are considering does not have a harvest date on the container, don’t buy it! Since most Tuscany Olives are harvested in late October through December, you should always check the label to determine the month and year the olives were harvested to ensure your purchased oil is less than one year old. This is why we guarantee our IL DIVINO Pure 100% Italian Extra Virgin Olive Oil is produced in the month and year printed on the label. To ensure you receive the absolute freshest, highest quality olive oil possible, we only use special bottles produced in Italy to block harmful light from damaging your oil or cans. The bottles include a special pouring spout to minimize the introduction of harmful oxygen into your bottle when open. You WILL taste the difference. To ensure you receive the absolute freshest, highest quality olive oil possible, we only use special bottles produced in Italy to block harmful light from damaging your oil. The bottles also include a special pouring spout to minimize the introduction of harmful oxygen into your bottle when open. You WILL taste the difference. 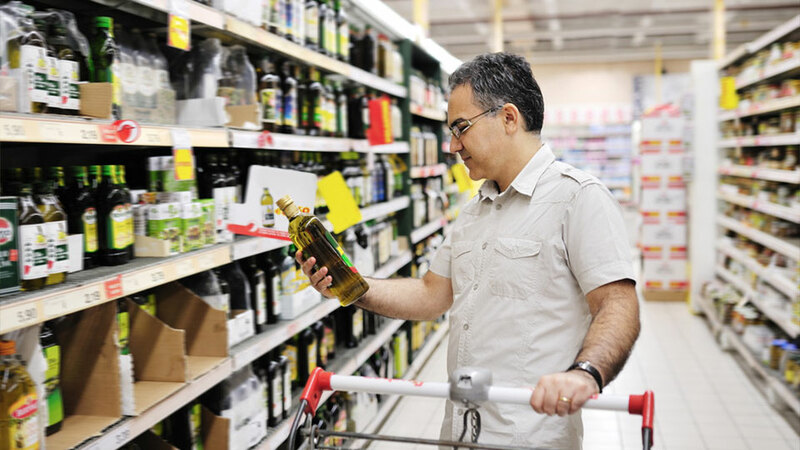 Always try to avoid buying Olive Oil and Extra Virgin Olive Oil older than 1.5 years from olive harvest and sold in light glass bottles; dark colored glass or cans are best. Oil degrades rapidly with time due to light and oil oxidation and older oil is sold cheap and tastes bad.